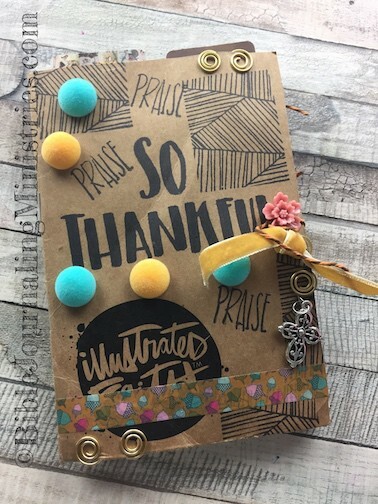 In this post, I’ll share my review of the Illustrated Faith Gratitude Bible Journaling Kit as well as a bonus tutorial on how to make a mini-book out of the mailer. This post contains affiliate links that help support our ministry. Thank you. This is the second review I’ve written on this kit since the previous one got deleted during a website restore. Funny how that is. I expected to restore my site with a backup and instead lost about 4 hours of work. I spent about 2 hours trying to fix my mistake only to dig deeper into a hole. Ha! Has that ever happened to you? Have you ever lost work or something that you spent time on? If you’re like most people, the answer is yes. It’s times like these where it’s easy to throw up our hands and say forget it. 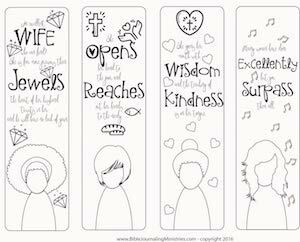 But, it’s times like these where having the latest Illustrated Faith Kit comes in handy. Having gratitude is important. I try to wake up every morning thankful for the new day. Yes…if you saw the movie Snow White it’s like that. The sun is shining and the birds are chirping. Except, I don’t bounce out of bed and start singing. Instead, I roll over and check the clock to make sure it really is morning even though all indications point to it. I drag my feet to the bathroom and start getting ready for the day. During my half-dazed state, I manage to smile, probably because I’m brushing my teeth and that action naturally results in a smile. Then I take a breath and say a quick prayer of thanks. Sometimes it’s longer than others. I’ll thank him for the new day, for my family, fur babies, friends, and ministry. I’ll say thanks for the coffee, for a clean towel, and for the roof over my head. These things are not small. They’re pretty awesome. I also thank Him for the trials. Sometimes the journey of Life brings me to forks in the road. The paths aren’t always clear and they cause pain, hurt, and suffering. But, as I look back on those trials, those were the days, weeks, months, and literally YEARS, where I grew closer to Him. Those were the days that made me who I am today. I wouldn’t trade them for an easier path. I’m not who I used to be – and that’s a good thing. So how can you be thankful during the darkest days of your life? Well…there’s no one size fits all answer here. What I can tell you is that the future is bright. You will overcome. He loves you. And he’s not done with you yet. So take it one moment at a time. Breathe. Thank God for the breath he just gave you. Then take the next moment. Look for the next blessing. I promise it’s there. It may not be what you want it to be. Your problem may not be solved today. But there is a blessing staring right at you. Honor it and then find the next one. Here’s the thing. The more you see the blessings, the more they show up for you. Look for them. They’re there. 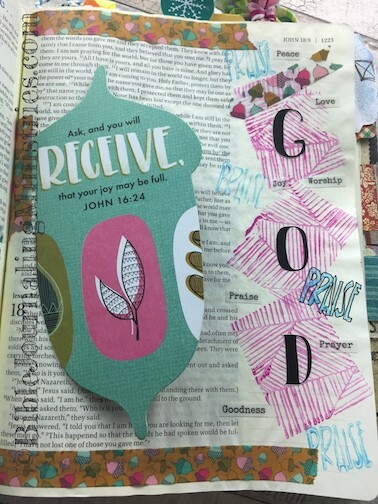 If you’d like some prompts to help you remember to seek the blessings, here’s my review of the latest Illustrated Faith Kit. It also has the mailer tutorial at about the six-minute mark. 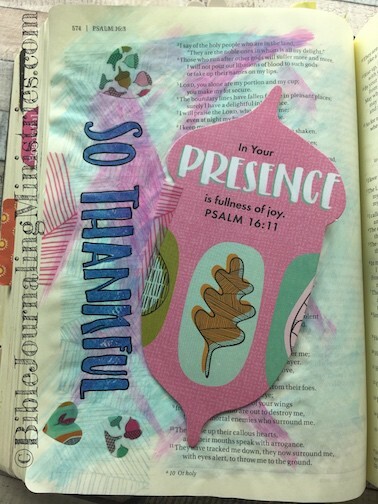 Don’t limit yourself to using the Illustrated Faith Gratitude Bible journaling kit exclusively in your Bible. I also used it to make cards, which are perfect for giving to the hostess of your Thanksgiving dinner (if you’re lucky enough to get invited to someone’s house). I hope I get invited to Turkey Day (hint to my parents and in-laws). I’ll be honest in saying that I do not like to redo work that’s already be done. So rewriting this post wasn’t what I wanted to do. But, the post that you’re reading is much better than the first. And I”m so thankful I got the chance to rewrite it.